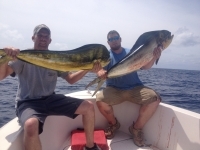 Posted: Tue Apr 09, 2019 6:08 pm Post subject: Live Bait Rigs WORK! I've been constantly modifying this system. Single ringed hook leader to a set hook with a free sliding smaller hook to a float rig using a 1-1/4in cork float. So far everythings working. Always keep innovating your system.